Background Medicines compendia, also called formularies, are the most commonly used drug information source among health care professionals. Objective The aim was to identify the countries publishing medicines compendia and the socio-demographic factors associated to this fact. Additionally, we sought to determine the use of foreign compendia in countries lacking their own. Setting Global web-based survey. Method Healthcare practitioners and researchers from 193 countries worldwide were invited to complete a web-based survey. The questionnaire investigated the existence of a national compendium, or the use of foreign compendia in the absence of one. Demographic and socioeconomic variables were used to predict compendia publishing through a multivariate analysis. Main outcome measure Existence of national medicines compendia and foreign compendia used. Results Professionals from 132 countries completed the survey (response rate at a country level 68.4 %, comprising 90.9 % global population). Eighty-four countries (63.6 %) reported publishing a medicines compendium. In the multivariate analysis, only two covariates had significant association with compendia publishing. Being a member of the Organisation for the Economic Cooperation and Development was the only variable positively associated with compendia publishing (OR = 37.5; 95 % CI = 2.3:599.8). In contrast, the countries that listed French as an official language were less likely to publish a compendium (OR = 0.07; 95 % CI = 0.007:0.585). Countries without national compendia reported using the British National Formulary most commonly, followed by the Dictionnaire Vidal. Conclusion Publication of medicines compendia is associated with socio-economic development. Countries lacking a national compendium, use foreign compendia from higher-income countries. Creating an international medicines compendium under the leadership of the World Health Organisation, rather than merely a ‘model’, would reduce the risks of using information sources not-adapted to the necessities of developing countries. We like to thank all respondents for their valuable contributions. This study had not received any external funding. Authors declare no conflict of interests regarding this study. American Society of Health-System Pharmacists. AHFS drug information. Washington, DC. http://www.ahfsdruginformation.com/products_services/di_ahfs.aspx. Accessed 1 Oct 2012. Truven Health Analytics. DRUGDEX system. Ann Arbor, MI. http://www.truvenhealth.com/your_healthcare_focus/hospital_patient_care_decisions/medication_management.aspx. Accessed 1 Oct 2012. Elsevier. Clinical pharmacology. Tampa, FL. 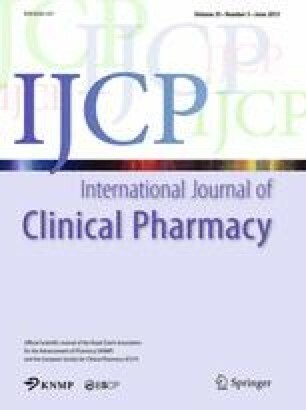 http://www.clinicalpharmacology.com/. Accessed 1 Oct 2012. National Comprehensive Cancer Network. NCCN drugs and biologics compendium (NCCN compendium®). Fort Washington, PA. http://www.nccn.org/professionals/drug_compendium/content/contents.asp. Accessed 1 Oct 2012. PDR books. 2013 Physicians’ Desk Reference®. Chestertown, MD. http://www.pdrbooks.com/prod/2013-Editions/Product-Catalog_95/2013-Physicians-Desk-Reference-_89.aspx. Accessed 1 Oct 2012. World Health Organization. Index of pharmacopoeias. Geneve: WHO; 2006. http://www.who.int/medicines/areas/quality_safety/quality_assurance/resources/index-of-pharmacopoeias16032012.pdf. Accessed May 2012. U.S. Department of State. Independent States in the World. Washington, DC. http://www.state.gov/s/inr/rls/4250.htm. Accessed 29 Aug 2011. The World Bank. Data: the World Bank. Washington, DC. http://data.worldbank.org/. Accessed 30 Aug 2011. World Health Organization. WHO: data and statistics. Geneve: WHO. http://www.who.int/research/en/. Accessed 30 Aug 2011. OECD. Organisation for Economic Co-Operation And Development (OECD). Paris. http://www.oecd.org. Accessed 04 Sept 2011.